Invite a friend or two – they will undoubtedly thank you later! 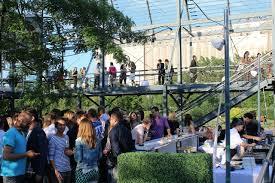 Join the BioTech Annecto Montréal community for the end of the summer celebration . To re-connect and make new connections with BioTech Annecto current and future members. To exchange about new updates and trends in Life Sciences industries. BioTech Annecto Montreal and CFRC have joined their efforts to promote networking opportunities for health and life science professionals. Bring your business cards. Vous lisez actuellement August Networking opportunity for Health and Life science professionals from the pharmaceutical, biotechnology, medical technology, CROs, health care and biomedical research industries à Cercle de formations et réseautage communautaire.